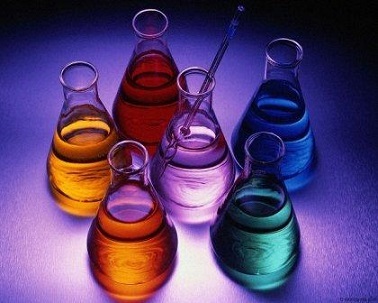 Currently there are directions for making 6 different home made formulas on this site. Below is a list of them. Remember I make no claims as to the effectiveness of any of them. Minomuck: This is the newest formula and very easy to make. You simply add 10 mls of liquid saw palmetto/beta sitosterol to a fresh bottle of minoxidil. This is a close approximation to the infomercial product known as Scalpmed. Click here for directions and purchasing supplies. Super Zix II formula: This formula is for those who are not using minoxidl. (No topical products containing zinc should be used in conjuction with minoxidil). It contains zinc, b-6, saw palmetto, beta sitosterol, polysorbate 80, and ethyl alcohol. Click here for directions and purchasing supplies. Original Super Zix formula: Contains zinc, b-6, saw palmetto, polysorbate 80 and ethyl alcohol. In my opinion it is obsolete to the Super Zix II formula because it does not contain beta sitosterol. Click here for directions. Zix Formula: This is the original formula which I invented more than 15 years ago. It is simple and cheap to make however I feel it is inferior to the newer formulas. It contains zinc sulfate, vitamin b-6 and distilled water. This treatment should not be used in conjuction with any topical treatments containing minoxidil. Click here for directions. Azelaic acid formula: Contains is 2.5% azelaic acid, 40% ethyl alcohol and 60% water. It is to be used in conjunction with the zix, super zix, or super zix II formulas. We use this because of the invitro study showing a 90% reduction in 5AR from a combination of zinc, b-6, and azelaic acid. Click here for directions. Minoxidil plus azelaic acid formula: This formula is a generic version of one of Dr Lee's Xandrox products. It is made by simply adding a certain amount of azelaic acid flakes to a fresh bottle of minoxidil. Click here for directions. I am not an expert on hair loss or the treatment of hair loss. I am not a physician. I have had some formal education in the medical field but that in no way qualifies me as an expert. This site represents my opinion and nothing more. You should always consult your physician first before you start any hair loss treatment. Furthermore, not only am I NOT an expert, I am NOT always right! I make mistakes. I'm wrong about things sometimes. I have been made aware of inaccuracies on my site several times. I have corrected them however that does not mean there may not be other inaccuracies so you should be made aware of this. Don't ever take my opinion as the gospel truth! I also make no claims as to the effectiveness of any of the formulas. I have done no scientific studies on their effectiveness. I suspect they are helpful for many people who are suffering from hair loss but that does not mean any of the formulas are proven to grow hair! Again...though I highly suspect the formulas have been helpful for many people this is also nothing more than my opinion! I don't even make any claims as to the long term safety of the formulas or even the short term safety! Finally, you should be aware that none of the statements on this site have been evaluated by the FDA. Once again, the entire site represents my opinion and nothing more!